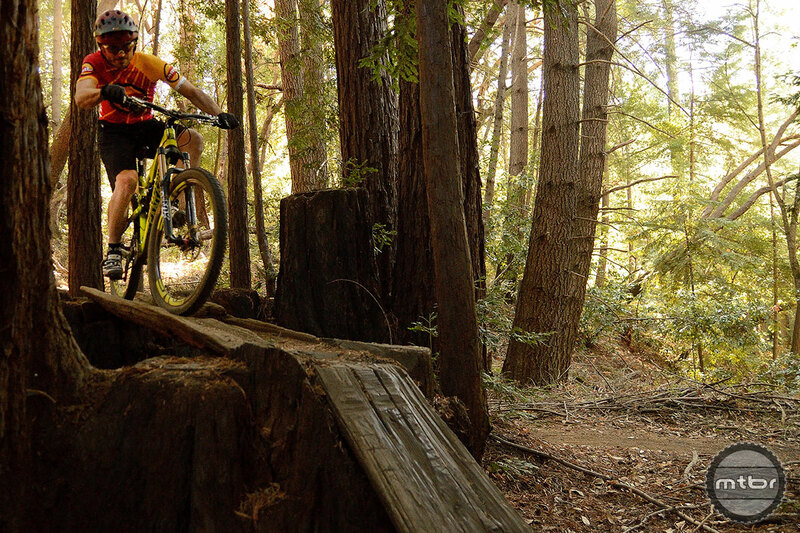 Situated near the crest of the mountain range that separates California’s famed Silicon Valley from the coastal beach towns around Santa Cruz sits our Enduro Compare-O proving grounds—the Soquel Demonstration State Forest. 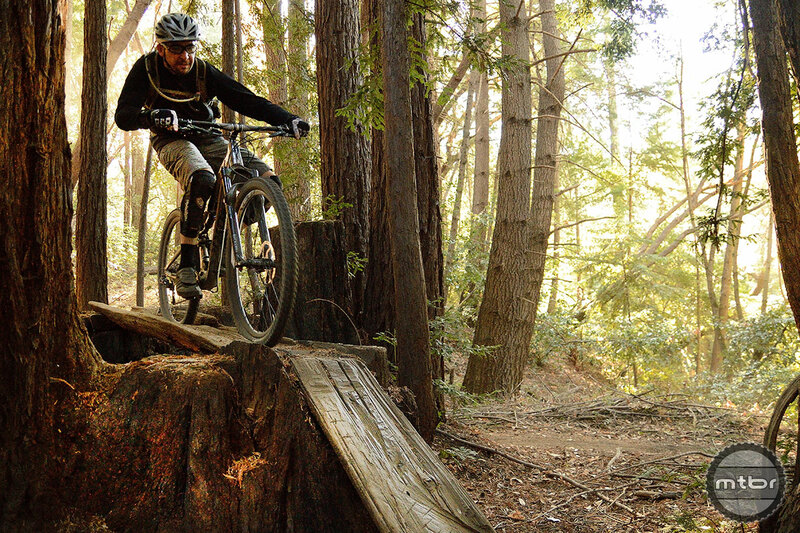 Boasting some of the best legal mountain biking in the San Francisco Bay Area, “Demo,” as the locals call it, is a regional riding hotspot that plays host not only to the annual Santa Cruz Super Enduro, and rides from the Santa Cruz Mountain Bike Festival and Trek Dirt Series mountain bike camp, but serves as a test track for a number of the bike industry’s biggest players. 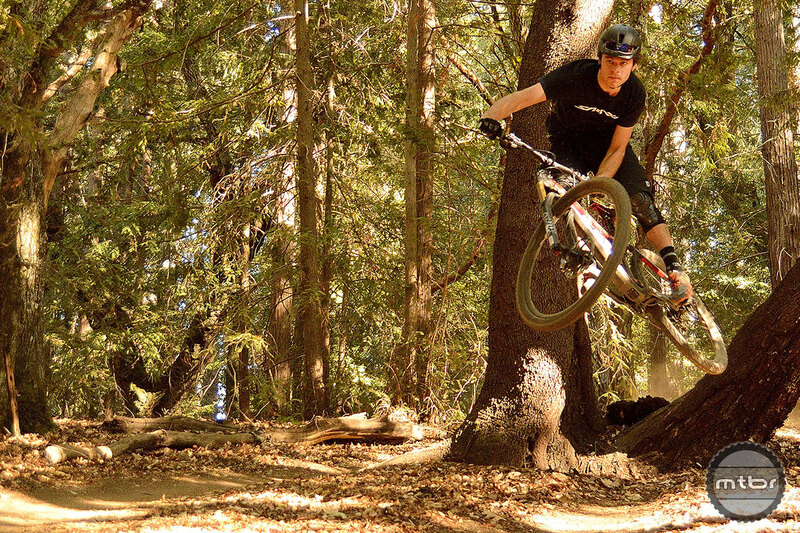 Specialized, Santa Cruz, Fox, Giro, Ibis, Bell, Kali Protectives, Ritchey, Easton, Praxis Works and X-Fusion are just a few of the mountain bike gear suppliers who call the area home, and who regularly take to the trails at Demo to prove their wares. 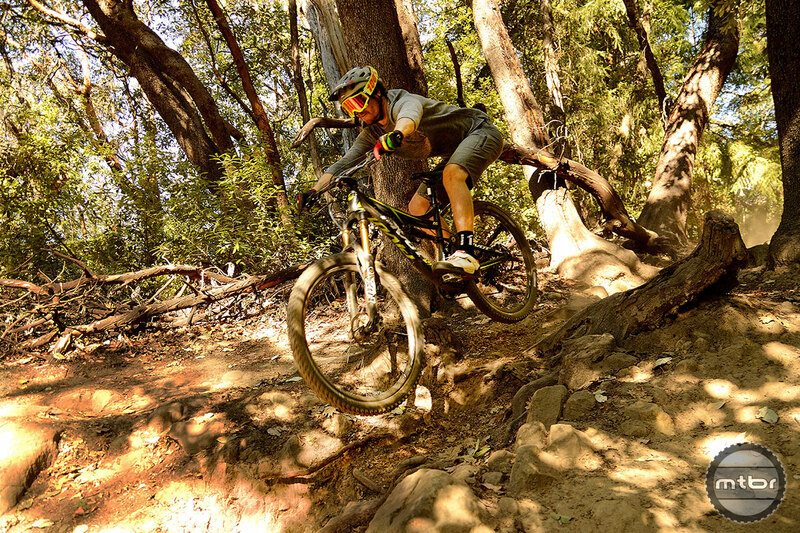 From sinewy rolling singletrack to techy downhill sections with numerous drops, jumps and stunts, Demo’s trails offer a fun, progressive riding environment—making it a good, if imperfect test track for our Enduro Compare-O. Turns are earned at SDSF as riding the good stuff is incumbent on significant climbing—both at the start and the end of almost every ride. Objectively speaking, our proving ground represents a very American-style enduro racing venue—long-travel-worthy tracks that you’d be OK doing in on a trail bike with an open-face helmet and light padding. For the most part it mirrors the kind of tracks you’ll see in series’ like the Oregon Enduro Series and Utah’s Enduro Cup. 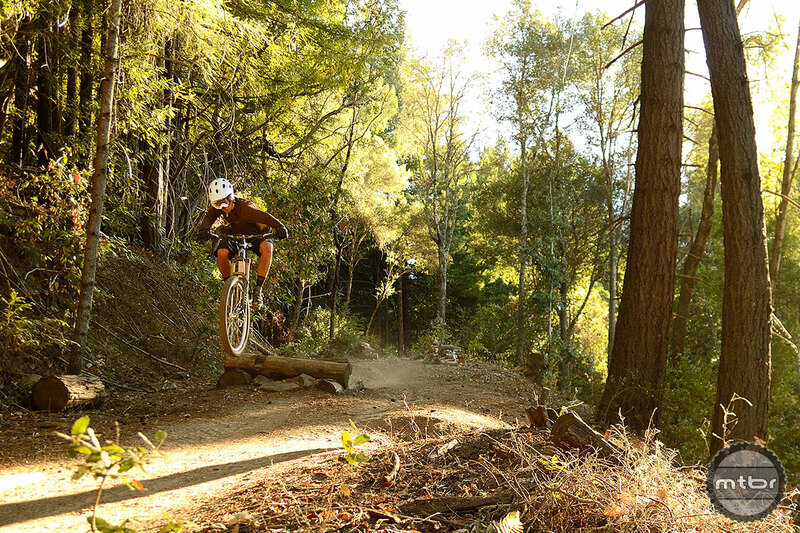 Though its total area measures only 2,600 acres and offers just 12 miles of trail, the small but mighty Demo Forest makes the most of its diminutive statistics, providing a technical mountain biking experience unmatched by its much larger neighbors Henry Coe State Park (87,000 acres), Big Basin Redwoods State Park (18,000 acres), and the adjacent Forest of the Nisene Marks State Park (10,000 acres). To be fair, Demo operates much differently than state parks. Under the auspices of the California Department of Forestry and Fire Protection (CAL FIRE), Soquel Demonstration State Forest—like seven other similar facilities throughout the state—serves as a living, breathing testbed for all manner of forestry management techniques, including fire suppression, timber harvest management, fisheries and wildlife research, botanic and archaeologic study, and—most relevant to mountain bikers—recreational use assessment. A byproduct of this “demonstration” status is an attitude more open to trying new things with less bureaucracy than more traditional governmental agencies. 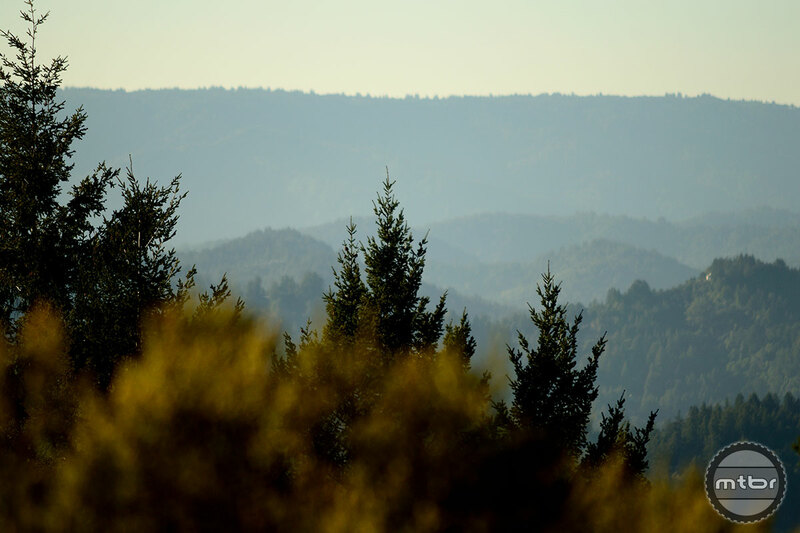 Simply put, opening a trail—or even getting access to them at all—is theoretically easier in a CAL FIRE demonstration forest. 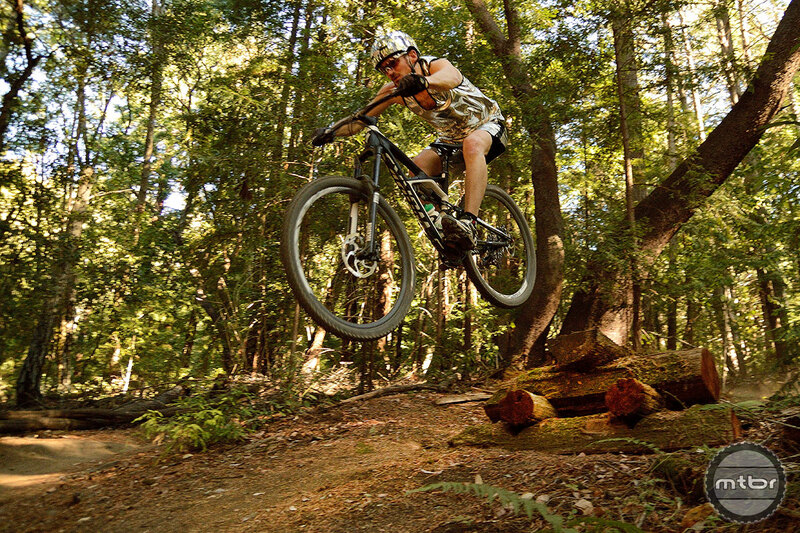 In the case of Soquel Demo Forest, it also helps that the staff at the local CAL FIRE office proactively engages mountain bike advocates, collaborating with groups like the Mountain Bikers of Santa Cruz (MBoSC) and the Stewards of Soquel Forest on long-term planning as well as volunteer trail maintenance and building initiatives. 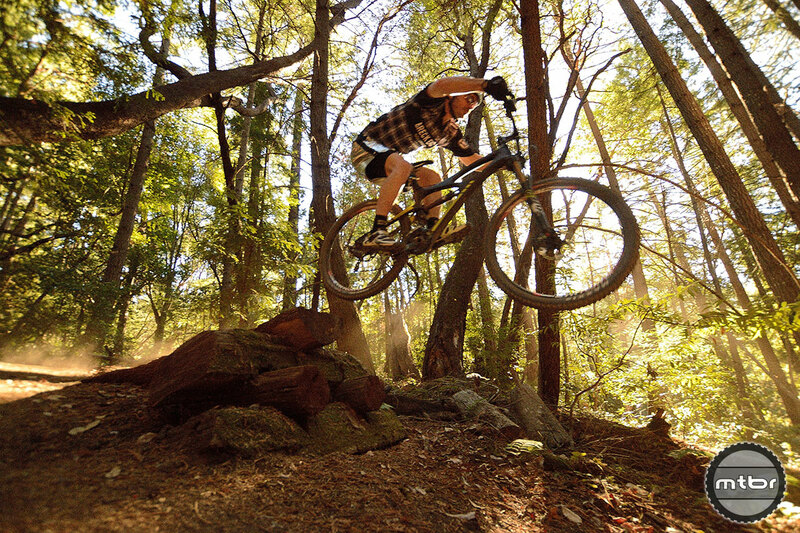 Case-in-point—construction just kicked into high gear on a new 4.1-mile flow trail that will boost Demo’s trail inventory by nearly a third, and add a trail experience distinctively different from the venue’s existing trails. 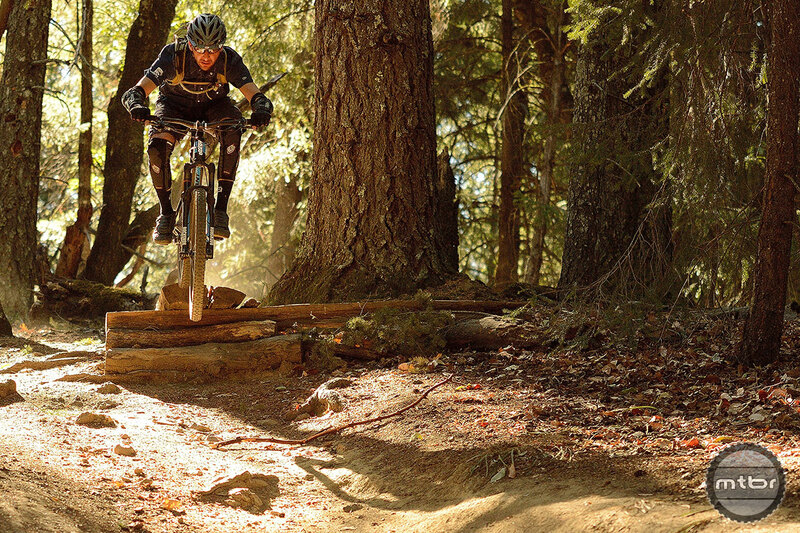 Planned as a replacement for a steep logging road called Tractor Trail, the flow trail takes advantage of an area recently harvested of timber, and supplements Demo’s notable descents already in operation—the 1.7-mile Corral Trail, the 1.5-mile Braille Trail, and the 1.3-mile Sawpit Trail. 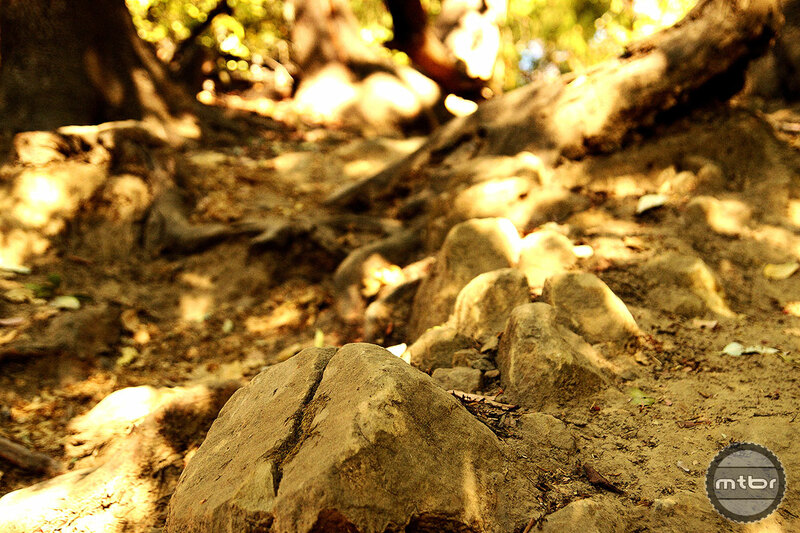 These trails, along with Sulpher Springs Trail traverse up and down the steep Santa Rosalia Ridge between the aptly-named Ridge Trail meandering across the top edge of the property, and Hihn’s Mill Road along Soquel Creek near the forest’s lower boundary. Trail builder Drew Perkins rallies the troops for another day of construction on the new flow trail at Soquel Demonstration State Forest. Photo by Bogdon Marian. The new trail is divided into six distinct segments and will include a progressive skills development area. 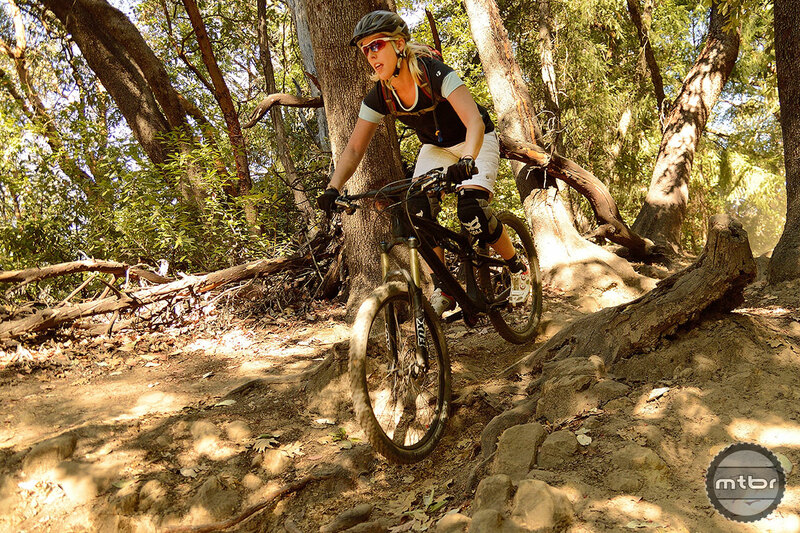 The project, which is partially funded through sponsorship, private donations and the fundraising efforts of the Mountain Bikers of Santa Cruz, was recently selected as a finalist in the IMBA Bell Built trail grant program. Advocates hope to speed up completion of the trail by winning the grant money which will be used to supplement its modest paid staff and volunteer labor with additional personnel. 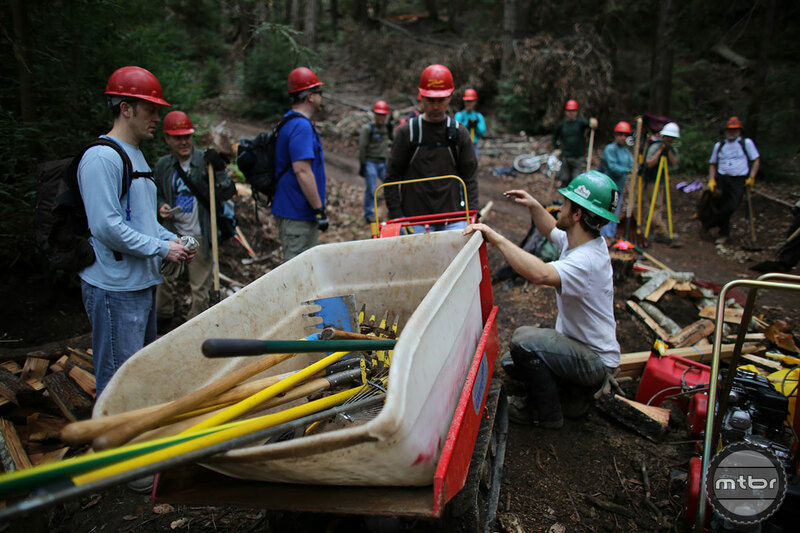 The Bell Built grant not withstanding, individuals can make donations to the project via Pay Pal, and can sign up for trail workdays, including the March 15 and 16 Mtbr-sponsored Demo Dig Days work and camp event via the MBoSC website’s Flow Trail page. 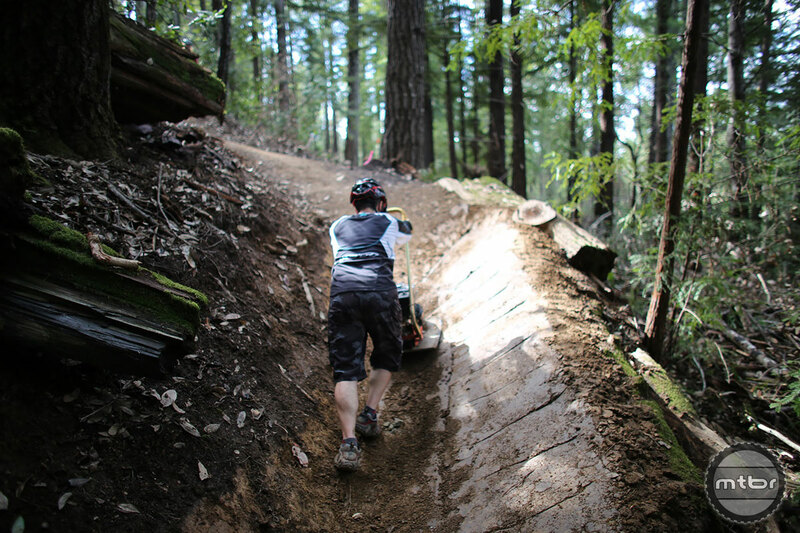 Sculpted berms like this one under construction at Demo give flow trails roller coaster-like qualities. Photo by Bogdon Marian. 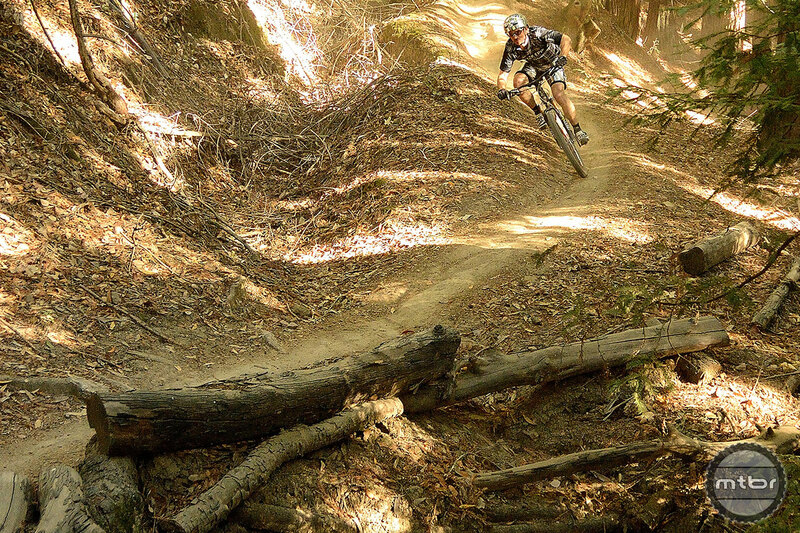 Though Demo gets substantial traffic year-round, there’s a definite spike each April in the weeks surrounding the Sea Otter Classic in nearby Monterey. Though perfectly equipped to host a race on a grand scale, the Sea Otter course itself is, well…a nice, old school cross country course. Many riders, and indeed what seems like half the bike industry, make a pilgrimage up the coast to Demo in search of a ride that’s more about going fun than going fast. Despite a look of impending doom, this rider pulled it together and made the save. Whew! Photo by Tyler Frasca. 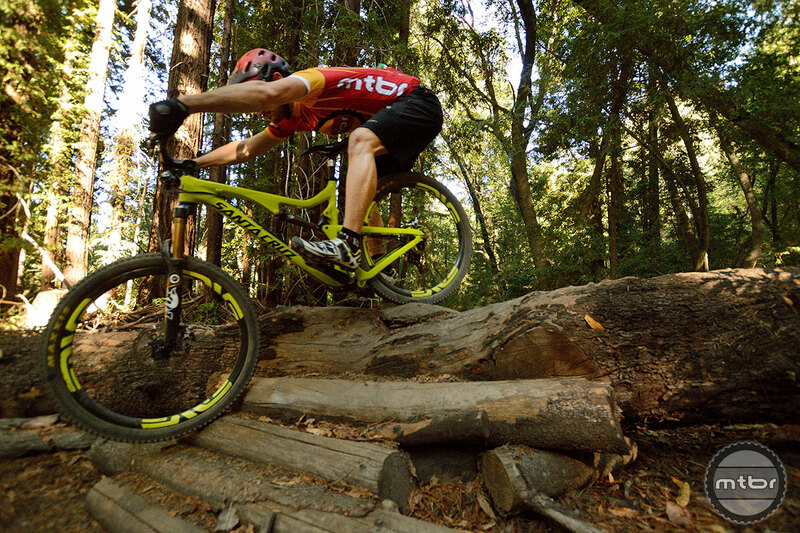 A few years back the MBoSC got smart about it, staging their aforementioned Santa Cruz Mountain Bike Festival the weekend before Sea Otter, giving out-of-town riders and Sea Otter vendors a two-for-one reason to bundle the events together. And good bookends they do make. 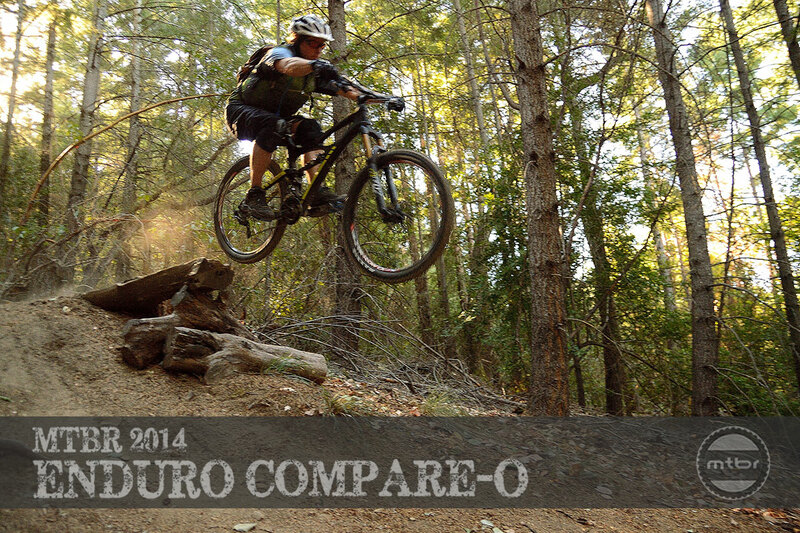 Naturally with its close proximity to Mtbr’s office, Demo is not only a top choice for special occasions like the Enduro Compare-O, but for when we need the inevitable fix on a personal basis. 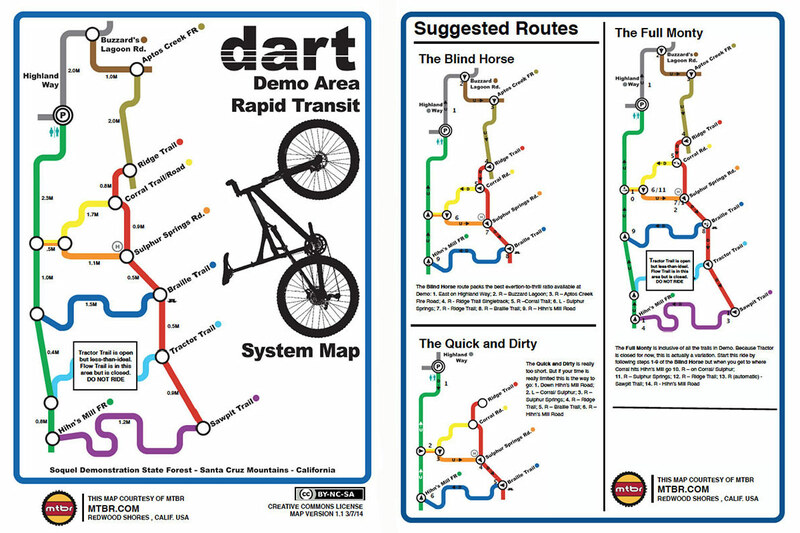 Though you can find plenty of info on Demo in our forums, we put together a simplified map and suggested routes you can use should you find yourself in the area. donate or support Demo? 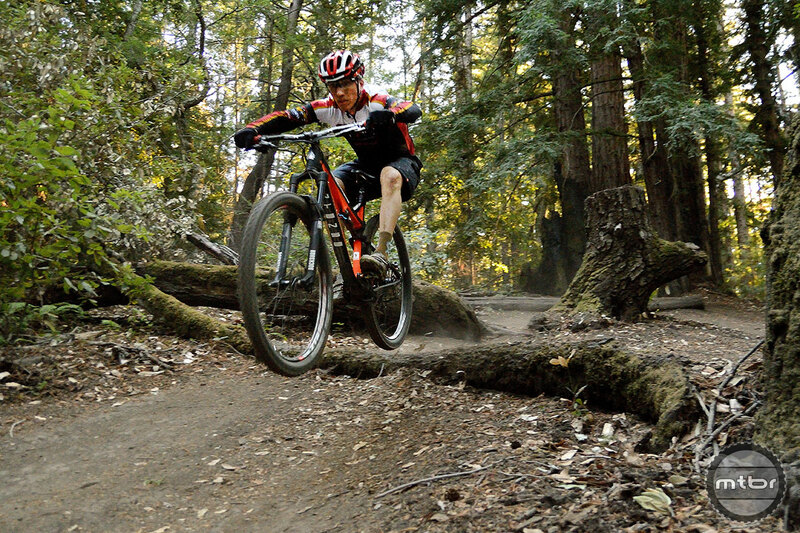 or do they just leach off the biking community by shredding trails and NEVER giving back? If you look at the “supporters” link on MBoSC page, you’ll see that most do especially when you keep in mind that Easton, Bell, and Giro are all under the same umbrella of Bell. Not to mention the fact that many of the workers at all of those are active in the community on their own time. Please don’t assume that these companies just leach off the community. 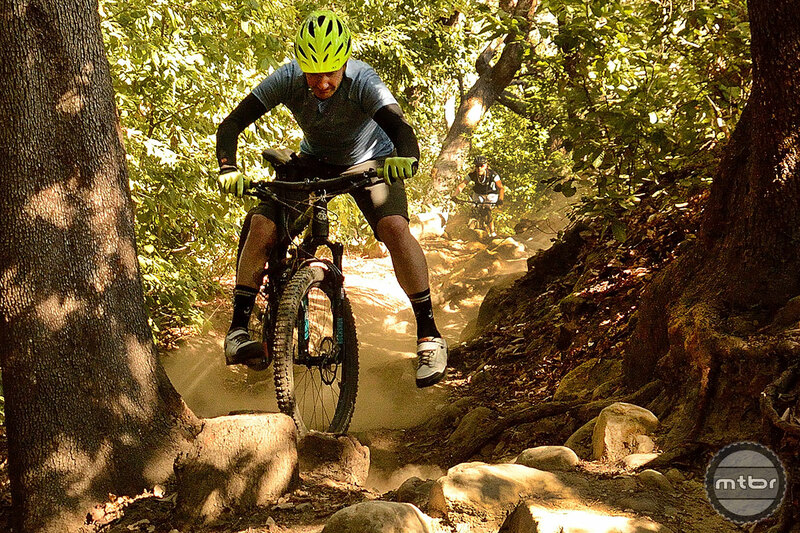 Al- All the companies listed have a history of supporting trails with both cash donations and sweat equity on the local trails, and they are in fact a vibrant part of the local bike community. I know at least Ibis helps out around here. 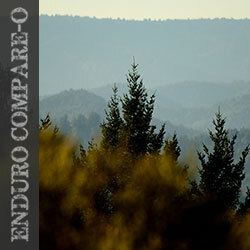 Can’t wait to read the enduro 29er review! Come on with it! Thanks guys, that’s the best map of SDF I’ve found yet.